This month, according to the Government of Montenegro, a ministerial meeting in Warsaw agreed the Declaration of accession of Montenegro in Energy Charter organization. The following step is for Montenegro to send to the Energy Charter Secretariat a report of three parts regarding business environment: energy efficiency, environmental impact and harmonization of legislation. The conference of Energy Charter is held once a year and the report that Montenegro will send will be adopted in the annually conference. 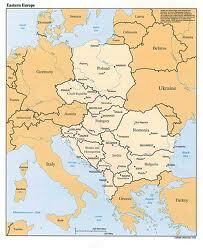 Energy Chapter treaty has 54 member states from Central and Eastern Europe, Asia, Pacific and the former Soviet Union. This admission is a political instrument that offers the country the observer status. After the Energy Charter Treaty will be ratified in the national parliament it will become legally binding for Montenegro.